While the tiny community of Fletcher never boasted more than a handful of residents, it played an important role in the development of business and commerce in the region. The remains of Fletcher can be found at the intersection of Lucky Boy Pass Road and Aurora Road, about 18 miles southwest of Hawthorne. Fletcher's heyday—if it can truly be said to have had one—was from about 1883 to 1919. The completion of the Carson & Colorado Railroad to Hawthorne in 1881 provided the impetus for the creation of a way station at the confluence of the road from Aurora and the road leading to Hawthorne. This crossroad location also happened to boast a vigorous natural spring, which was certainly an advantage in this relatively dry landscape. In 1881, a stage stop was established to connect the thriving mining camp of Aurora, six miles to the south, with the rail line at Hawthorne. A post office was located at the settlement in 1883 and the intersection took its name from H. D. Fletcher, the first postmaster. The community's fortunes ebbed and flowed with the successes and failures of mining efforts in Aurora. The post office was opened sporadically over the years, then closed for good on November 30, 1918, when Hawthorne was designated the mail address for its patrons. The small community of Fletcher quietly slipped into obscurity after the loss of the post office. Ranchers continued—and continue to this day—to utilize water from the spring for livestock, but any permanent residents picked up and moved on. Today, Fletcher is little more than a wide spot in the road. After driving across miles of flat, dry high desert, you can find Fletcher because it's the only green area around. Tall cottonwoods and poplars, lush green grass, marshy ground and thick foliage attest to the life-giving benefits of the spring. Indeed, water continues to rush from the spring, funneled through a plastic pipe and into a flat, green meadow that is attractive to local cows. Overflow from this stream of water collects in a small pond, which is thick with cattails and grasses. Remnants of past settlement remain. 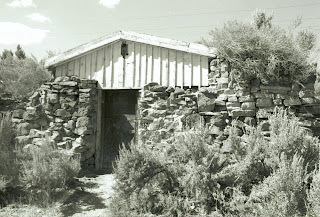 Crumbling, hand-piled rock walls indicate the former site of a corral while a locked iron door hints at the hidden things within a stone cellar in a hillside—the only real building still standing. All around is the refuse of the past; warped wooden boards, rusted metal barrel rims, barbed wire and other castoffs. A U.S. Geological Survey marker indicates this was once someplace—but today few would know where and what and why. And beware of the few remaining residents of Fletcher. In addition to the cows and the occasional wild horse, the rattler is the most prominent boarder. During a recent visit, we spotted one quietly snoozing within the rotted, hollowed center of a fallen tree. For six months in 1954, central Nevada was violently shaken by a series of earthquakes that literally changed the shape of the land. Between July 6 and December 16, six quakes shook west central Nevada and eastern California. The biggest of the temblors, which occurred a little after 3 a.m. on December 16, registered 7.3 on the Richter Scale (for comparison, the San Francisco earthquake of 1906 was 7.8). It was felt over an area of more than 200,000 square miles. The epicenter of the quake was seven miles west of U.S. 50, at a spot east of Fairview Peak (about 40 miles east of Fallon). Four minutes later, the area was rocked again by an aftershock that measured 6.9. The effect of the twin quakes was spectacular surface ruptures and cracks in the nearby valley as well as significant shifts in elevation. Nearly 50 miles of faulting was exposed on Fairview Peak and in the Dixie Valley and Clan Alpine Range to the northwest. Scientists’ estimate that in some places the mountains rose more than 20 feet relative to the surrounding valleys (although rises of six-feet were more common). Fortunately, the area most affected by the quakes was sparsely populated so property damage was minimal and no one was injured. U.S. 50 experienced some cracking and buckling and, in one fifty-foot section, the roadway dropped more than five feet. In Fallon, the closest community of any size, there were a few cracked and toppled chimneys. At the Newlands Project, the series of canals and ditches that transport water to the Lahontan Reservoir, there were reports of several breaks and leaks. Sacramento, located about 200 miles west, the shock wave apparently caused an estimated $20,000 in damage to a large underground water tank at the city’s filtration plant. Today, it’s still possible to see traces of the tremendous geological shifting that occurred during the 1954 quakes in the vicinity of Fairview Peak and Dixie Valley. A road sign on U.S. 50, east of Frenchman’s Flat, points you south to a dirt road that leads to an interpretive display describing the quakes. In fact, if you walk a quarter-mile west of the interpretive sign you can find the exposed fault line. If you continue on the dirt road, you can see additional fault scarps (places where the ground has been pushed higher than the surrounding area) as well as other faults, which resemble crude trenches dug in the hillside. The interpretive sign explains that earthquakes basically occur when pressure builds under the earth’s crust and is suddenly released. Portions of the crust will bend or, when the stress exceeds the strength of the surface, break and snap into a new position. As great as the Fairview/Dixie Valley quakes were, they weren’t the biggest in Nevada’s history. The U.S. Geological Service ranks Nevada as among the most seismically active states. The earliest recorded earthquake in the state occurred in 1851 near Pyramid Lake. According to later newspaper articles, great cracks opened near the lake and water spouted 100 feet into the air. The strongest recorded earthquake happened in October 1915, when three temblors in a seven-hour period rattled most of northern Nevada. The biggest shock, with a magnitude of 7.75, struck the Pleasant Valley (north of Winnemucca), and caused damage to homes in Lovelock and Winnemucca. More than 100 aftershocks followed during the next few weeks. An earthquake of about the same magnitude as that of Fairview Peak (7.3) occurred near Cedar Mountain (near Gabbs) on December 20, 1932. Two cabins were reported destroyed by the quake and a handful of chimneys collapsed on homes in Mina, Luning, and Hawthorne. For more information about earthquakes in Nevada, including tips on how to cope with one, check out the University of Nevada Reno Seismological Laboratory web site at www. seismo.unr.edu. On many road maps, Central Nevada seems to consist of the town of Austin—and lots of empty space. But hidden in the canyons, mountains and valleys, explorers can find dozens of historic sites and natural attractions. In fact, Kingston Canyon, located 27 miles southeast of Austin, is one of the most beautiful of central Nevada's lesser known scenic gems. To reach the site, travel 17 miles east on U.S. Highway 50 to State Route 376, then south for about four miles to Kingston Creek Road, which leads into the canyon. At the mouth of Kingston Canyon, you'll pass through a relatively developed area consisting of a dozen ranch homes and a few larger buildings, including a general store and church. Just past the newer development, to the right, you'll spot the last remnants of Kingston, a mid-19th century mining camp. Perhaps the best ruin is the former Victorine Mill, which consists of fairly substantial stone walls and large timbers. Around the mill site, there are also the scattered foundations and walls of other structures no longer identifiable. From here, you can start driving up on a maintained dirt road into Kingston Canyon. The canyon walls offer some impressive rock formations and classic Nevada pinion and sagebrush landscape. 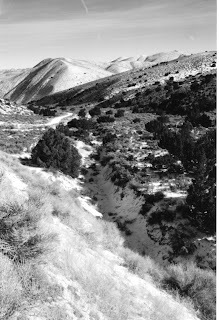 The road rises above the surrounding Big Smoky Valley—offering a wonderful view—into the Toiyabe Range. About a mile from the canyon entrance, you reach the rustic Kingston Forest Campgrounds, operated by the National Forest Service. A bit farther is a pretty, small reservoir, a popular local fishing spot. From here, the road curves around Bunker Hill (the 11,474-foot-high peak to the north) and rides the crest of the Toiyabe range for a few miles, paralleling Kingston Creek. The scenery here is incredible; to the west you can see the beauty of the Reese River Valley, while to the east is the spectacular Big Smoky. A few miles ahead, Kingston Creek becomes Big Creek and the road reaches the Big Creek Forest Campground, a relatively undeveloped back country campsite. The road continues northwest from the campground, dropping down into the Reese River Valley at a point about ten miles south of Highway 50 and Austin. Records indicate that silver and gold were discovered in the Kingston area in the early 1860s. A small camp, originally called Bunker Hill, was established and existed for about two years. In 1864, Kingston was staked near the entrance of the canyon to be closer to the mines. Several mills were built, including the massive Victorine, and, because of the availability of water from the creek, a number of crops were planted, including grapes (which apparently did not flourish). By the end of the decade, it became obvious that the Kingston ore wasn't as rich as originally believed and the town began to decline. The mills were dismantled and moved to other locations. Kingston's mines were reworked several times in later years, including in the 1880s and at the turn-of-the-century. Today, the area remains a sleepy ranching hamlet with a handful of businesses. In recent years, retirees have discovered Kingston and begun moving into the area. For more information contact the Austin Chamber of Commerce, Box 212, Austin, NV 89310, 775-964-2200, www.mountainsage.org. In the mid-19th century, Virginia City’s mining industry helped spur a number of technological and engineering breakthroughs like square-cut timbering, thick woven metal cable and—perhaps the most audacious—Adolph Sutro’s tunnel. At that time, one of the industry’s biggest challenges was how to remove scalding hot water that seeped into the mines and made it impossible to work. To cope, mining companies resorted to ingenious solutions such as dropping giant blocks of ice into the shafts, limiting the amount of time miners could work underground and developing some of the world’s largest pumps to remove the water. However, a Prussian immigrant named Adolph Sutro concocted perhaps the most ambitious plan. While only 30 years old, Sutro had already operated a successful mercantile business in San Francisco before heading to Nevada in 1860 to improve his fortunes. After learning about the challenges facing Virginia City mine owners, he had an inspiration—build a long tunnel deep beneath the mines, then link the shafts to the tunnel so that hot water could easily and safely be drained from them. 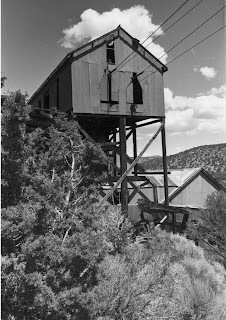 Additionally, he thought that the tunnel would be an easier and cheaper way to move the ore from the mines to the mills, many of which were located on the Carson River. His tunnel would stretch more than 20,000 feet from its entrance, located east of present-day Dayton, to the first connection at the Savage Mine. He also envisioned the development of a whole town, named Sutro, to serve as the focus point for the tunnel. In the early 1860s, Sutro pitched his tunnel idea to the mining companies, who were initially supportive. In 1865, the Nevada State Legislature granted him authority to drill a four-mile long tunnel into Mount Davidson. He persuaded a number of the Comstock Lode’s largest mines to agree to pay a fee for each ton of ore transported through the tunnel. But opposition arose, primarily from officials of the powerful Bank of California, who feared his tunnel might break their monopoly on the milling and transporting of Virginia City’s ore. As a result, it would take Sutro another three years to line up financing for the tunnel. Finally, on October 19, 1869, work began on Sutro's hole. Nearly nine years later, on July 8, 1878, the tunnel was completed. It cost $3.5 million and stretched more than 20,000-feet from the mouth, located just east of Dayton, to the first connection at the Savage Mine. 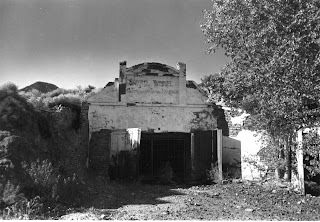 Unfortunately for its investors, who were mostly European, the tunnel was completed about the time that Virginia City’s mines had begun to decline. While it served its original purpose, it was never the moneymaker that Sutro envisioned and never paid for itself. Sutro was probably aware of this since he quietly unloaded his stock in the venture—making more than a million dollars in profit—shortly after the tunnel was completed. He successfully invested his funds in real estate in San Francisco, eventually becoming mayor of that city. The town of Sutro had a similar fate. Established in 1870, it never lived up to Sutro’s expectations that it would eventually be larger and more important than Virginia City. Sutro peaked in 1876 when it had a population of nearly 800 people, a school, a church, its own newspaper, and Sutro’s impressive two-story Victorian house. After the tunnel opened, the town’s population actually declined as the amount of business generated through the tunnel didn’t support such a large community. Sutro’s grand mansion managed to survive until 1941, when it was destroyed by fire. Today, only a handful of privately owned buildings including several barns, a large drainage pond, a few ore carts, an old wagon, some rusted rails and a handful of houses mark the former site of Sutro. The foundations of Sutro’s mansion can be found in the sagebrush on the hillside above the tunnel. An interesting aspect of the house was the fact that thick cables, which can still be seen, were attached to the house to keep it from being blown over by the area’s often-fierce winds. A few years ago, the area around the tunnel’s entrance experienced extensive damage after excessive rain caused a cave-in. While the whitewashed, brick archway entrance remains standing, the stretch of tunnel directly behind the opening has collapsed, sealing off the tunnel from the outside world. Note that Sutro’s Tunnel sits on private land and is not open to the public without permission from the property owners. 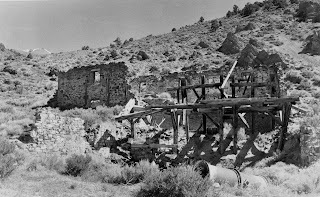 The mining camp of Belmont Mill in White Pine County (not to be confused with the better-known mining town of Belmont, in Nye County) is often so forgotten that it doesn’t even show up in most ghost town guide books. Of course, perhaps because of this lack of attention, Belmont Mill has managed to remain one of the better-preserved early 20th century mining camps. Belmont Mill can trace its roots to the famed White Pine County mining boom of the late 19th and early 20th centuries. In 1915, the Tonopah-Belmont Development Company began developing a mine and mill in the area, which is about seven miles southwest of the mining town of Hamilton (now a ghost town). Records indicate that despite the considerable investment—Belmont Mill was set up as a company town—the mines proved to be marginal and the camp was abandoned after about a decade of mining. Peeking inside the main building—be careful not to touch anything or go inside because the wooden floors don't appear safe—you can still see the milling equipment and a variety of other mining paraphernalia. Also intact is an aerial tramway (which resembles the kind of aerial lift you find at a Lake Tahoe ski resort) that runs through the center of the building and stretches a quarter-mile or so up the hillside to several dig sites. The tram's thick support cable, while rusted after decades of neglect, still looks like it could haul a fair bit of ore. If you walk alongside the tram, up the hill, you can get a great view of the mill and surrounding area. Nearby are several of the area's once-lucrative mines, which included such colorfully named shafts as the Dog Star, Jenny A. and Mary Ellen. Again, be cautious about exploring the area because mine shafts are dangerous. All of the buildings are posted with signs proclaiming they are federal government property and warning visitors not to touch or remove anything under penalty of law. While a business district never developed at Belmont Mill, a handful of decaying wooden structures sit on a hill above the mill, which appear to have been residences. Below the abandoned row of houses you'll also find several rusted hulks of cars of more recent vintage.